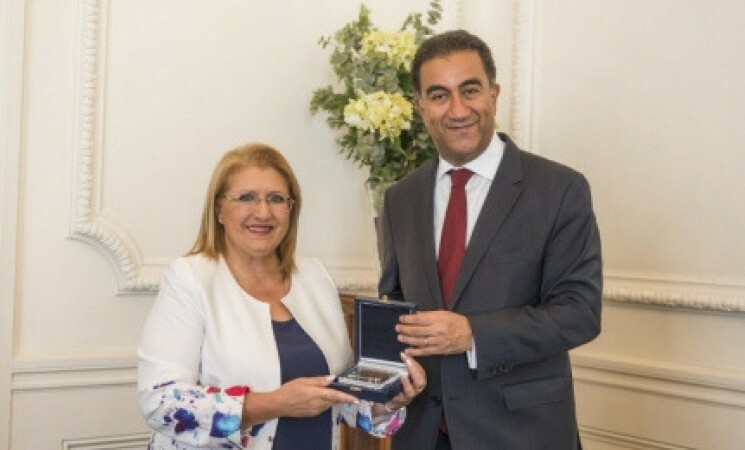 The President of Malta and Patron of the Mediterranean Tourism Foundation, H.E. Ms Marie-Louise Coleiro Preca, paid a working visit today to the Secretariat of the Union for the Mediterranean. Malta plays an active role in the framework of the Union for the Mediterranean. In the context of the Maltese Presidency of the Council of the EU, held from 1 January to 30 June of 2017, Malta has hosted important UfM meetings, including the Ministerial Conferences on water and research and innovation, the Informal High level meeting on Energy Efficiency in the Mediterranean, the BlueMed Stakeholder conference, as well as the first UfM Senior Officials Meeting of the year. Secretary General Sijilmassi stated that “Malta plays a key role in the Union for the Mediterranean and has successfully put Euro-Mediterranean cooperation at the heart of the international agenda during the Maltese presidency of the Council of the EU. The UfM Secretariat is committed to work closely with Malta with the aim of fostering regional dialogue and strengthening regional cooperation in the Mediterranean”. 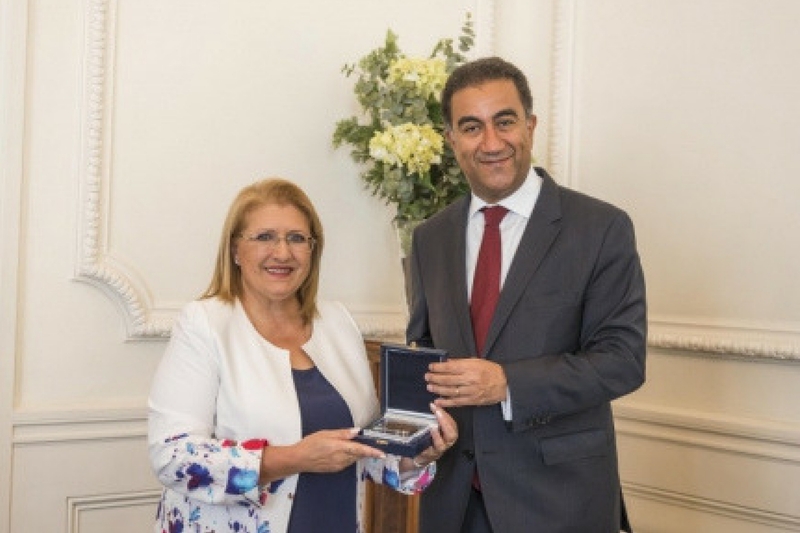 In particular, President Coleiro Preca mentioned the recently set-up Mediterranean Tourism Forum, which aims at bringing together public and private sector stakeholders with an interest in tourism across the Mediterranean region. Malta and UfM are exploring ways of collaborating in this field through specific projects and initiatives, in coherence with the new UfM Roadmap for Action, endorsed by the Ministers of Foreign Affairs of UfM Member States last January in Barcelona. The UfM Roadmap acknowledges the importance of tourism for the economies of the countries of the region, as well as for its impact on job creation and cultural understanding.